A changing table has a very specific purpose, and it often loses that purpose once you have a toddler and it becomes easier to just change them on the floor. Instead of spending money on a changing table, consider using a low dresser with a changing pad on top. By doing this you’ll save precious floor space by eliminating the need for another piece of furniture, and you’ll also save money. In my son’s nursery I used a long, low bookshelf with cubbies in it which provided ample storage space for diapers and other baby necessities. 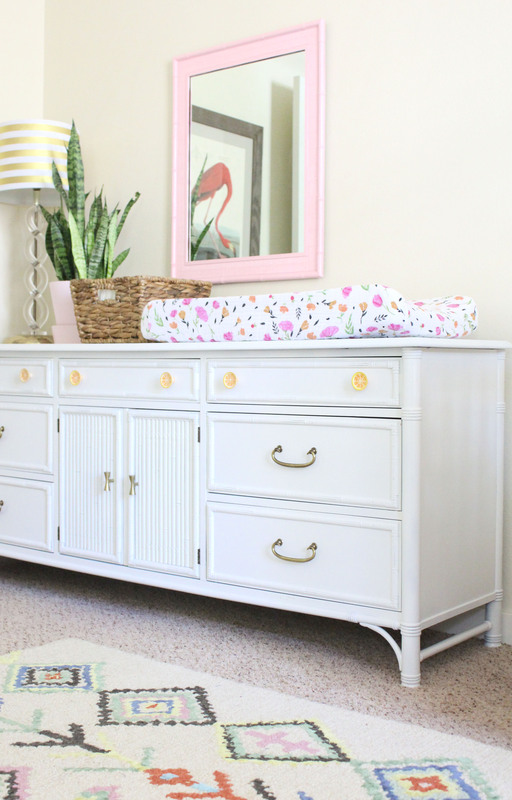 In my daughter’s nursery I used a vintage faux bamboo dresser that I found at a thrift store. I painted it white, switched out the knobs and added a changing pad to the top. For a fraction of the price of a brand-new dresser or changing table I had a one-of-a-kind piece that does double duty. Once you start looking at cribs, consider purchasing one that will convert into a toddler bed. Many cribs nowadays are 3-in-1 in that they can be a crib, a toddler bed with a rail, and then a daybed. This will get you through the toddler years and eliminate the need for a separate bed once your little one learns to climb up and out of the crib. This will also save you money on linens because you’ll still be able to use all of your crib sheets. I’ll be honest, I thought a glider was not a necessity. At first we used an old wooden rocking chair that had been in my family for years, but one of the rockers was “off” and it made the chair travel sideways across the floor and eventually it would run into the side table. We switched it out for a recliner we no longer used and that’s what we still have in my son’s toddler room. It did the job, but now that we have a real glider in our daughter’s nursery I now know why they are so popular. They’re much safer than rocking chairs because there is no risk of smashing tiny toes or fingers, and being able to peacefully glide back and forth while feeding or comforting your baby is much nicer than sitting still in a recliner. If possible, buy one that doesn’t scream “nursery” so that you can use in another room once it’s longer needed in your child’s room. It’s easy to think that you need to buy all new stuff specifically for the nursery, but do a little “shopping” in your own home first. 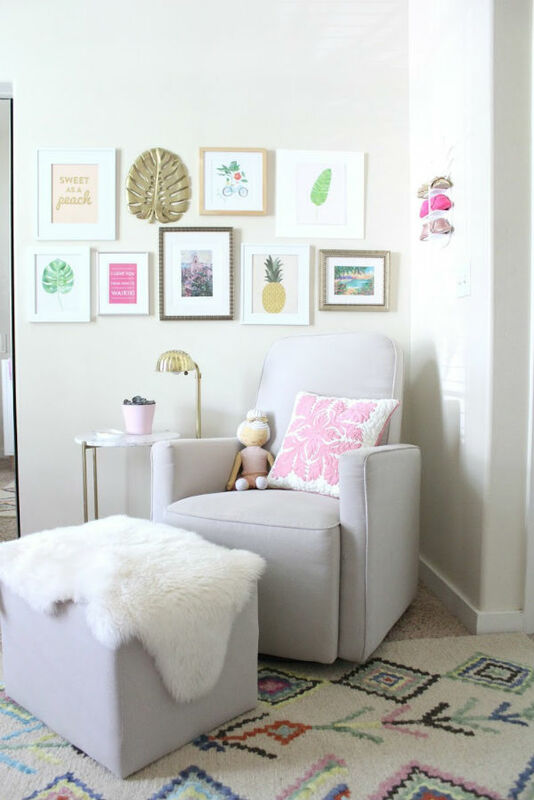 Round up artwork, storage bins, and accessories that could work in the nursery, and don’t feel like you must stick with a specific theme. The broader your style is the less work you’ll have to do when you transition the room to a toddler room and then to big kid room. (Just think, if the nursery theme is built around a specific TV show or sport there is a high probability that your child won’t even be interested in those things once they’re old enough to have an opinion.) Once you figure out what you do need from a store, try to think outside the box. 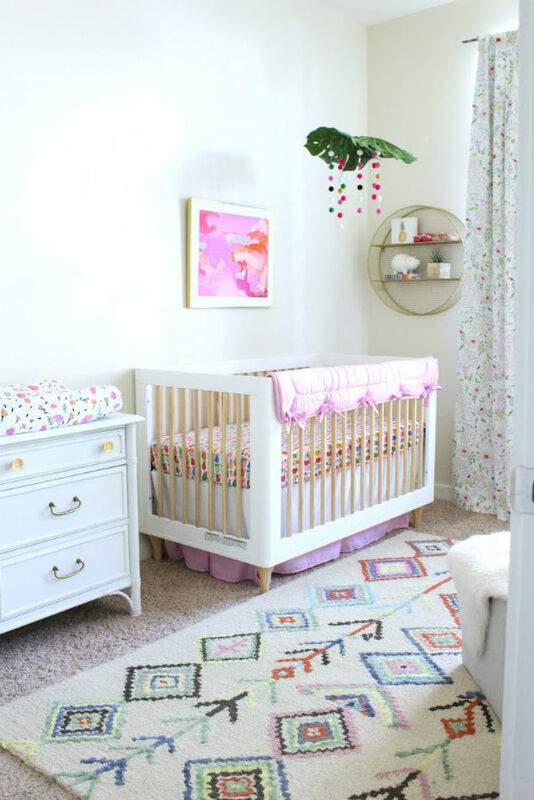 Flea markets and thrift stores can be some of the best sources for items that will make the nursery truly unique. Now that it’s time to design your baby’s nursery, don’t forget to have fun! And as with most things these days, if you need a little inspiration don’t be afraid to turn to Instagram and Pinterest for more design ideas. Katie Vail is an Army veteran who served in Afghanistan. She's now an Army wife and the mother of two toddlers and she's on the constant quest to balance practicality and style at home and in everyday life. 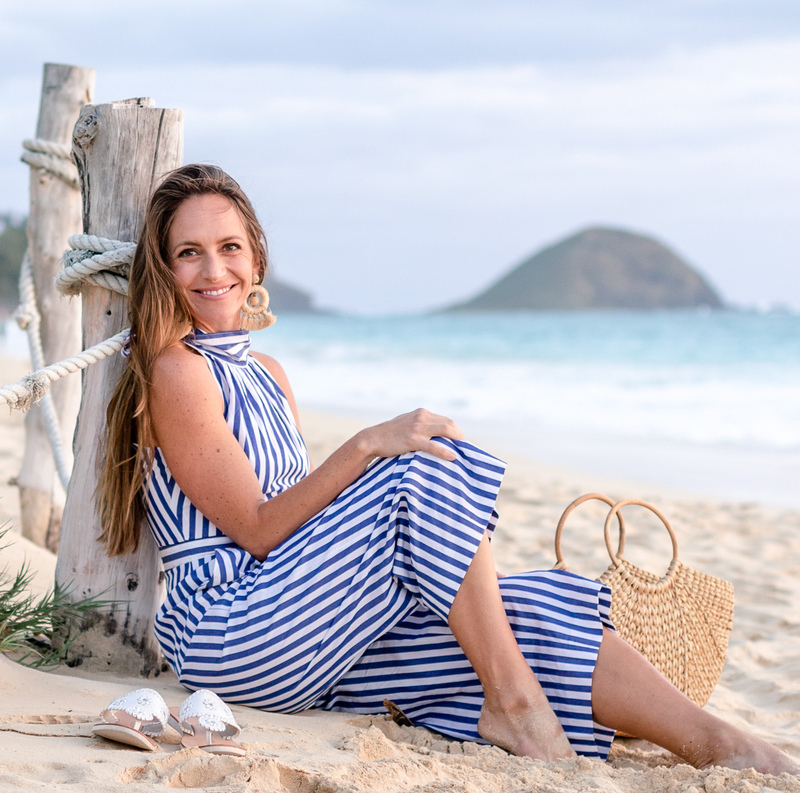 She has a passion for stripes, running, a good furniture DIY and she believes that life is best lived when you add a little dash of whimsy to everything. She and her family enjoy living life in Hawaii, at least until the Army sends them elsewhere.